About 2.6 million people work in the UK’s health and social care sector. Although some of these workers have administrative posts, the rest provide health and social care to individuals and families in surgeries, hospitals and the community. In these circumstances, safety is a complex issue. This is because every day health care workers encounter a large range of situations and people. Health care staff experience up to four times more Work-related Violence than other workers. Employers need to assess the risks of this violence. They must then act to reduce the hazards. Employers should also maintain a strict record of violent incidents. This way, they can study any patterns that emerge and take action. A large part of health care workers’ jobs is physical. Workers may have to move and handle patients, or they may have to adopt and hold unnatural positions when giving treatment. Across the UK, Musculoskeletal Disorders (MSDs) affect one million people each year. Within the health care sector, MSDs cause 40% of sickness absence. There are a number of regulations that relate to MSDs. The most relevant to health care workers are the Manual Handling Operations Regulations 1992 (as amended 2002) and the Management of Health and Safety at Work Regulations 1999. Employers need to keep risky Manual Handling activities to a minimum. This isn’t always easy in the health care sector. But employers must do what they can. Employers must also ensure they have identified and assessed any unavoidable manual handling activities. Assessments must include recommendations on reducing the risks of injuries. Other types of risk assessment should always consider the hazards of any health care work that may cause MSDs. Needle-stick injuries are not common among health care workers. But the implications of such an injury are serious. The main concern is that a needle-stick injury may expose a worker to blood-borne viruses (BBVs). Human immunodeficiency virus (HIV), hepatitis B and hepatitis C are the most common of these. Fortunately, there is a vaccine that protects against hepatitis B. No such vaccine exists for hepatitis C or HIV, however. 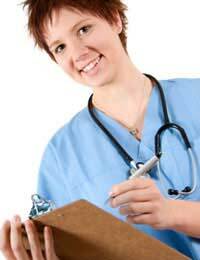 Slips and Trips are the greatest cause of injuries to health care workers. 53% of major injuries among NHS staff occur because of slipping and tripping. The Health and Safety at Work etc Act 1974 is clear about slips and trips. Employers must introduce controls that keep health care workers from harm. Staff also have a responsibility. They must employ the safety equipment that employers provide. And the makers and suppliers of the equipment must ensure their products are safe to use. I work as a care assistant. My time schedule has individual clients. if a client cancels on the morning I am scheduled to attend this person. am i entitled to be paid? Am i entitled to 24 hours notice of cancellation?